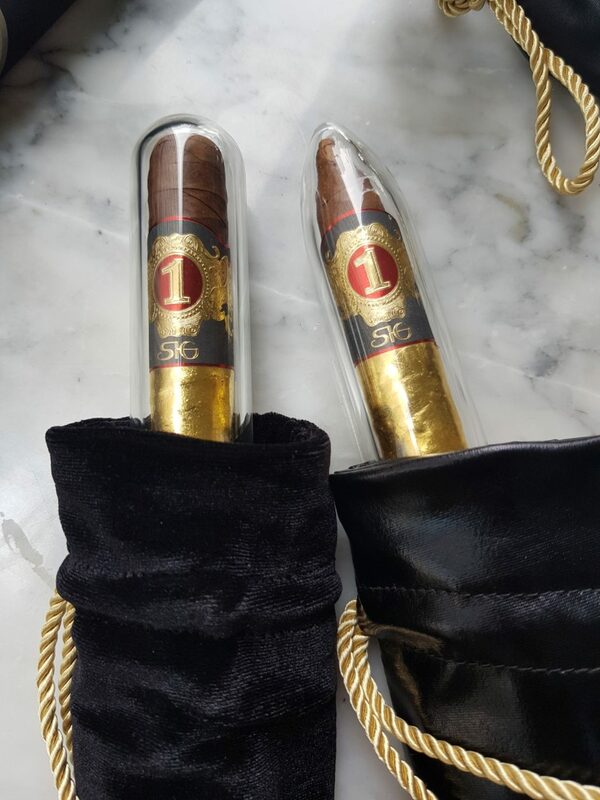 The SIG 1 :: #SIGARI, Stark Networks HK and affiliated companies have developed the world’s first luxury premium hand-rolled cigar product, labeled as SIG 1, containing a proprietary RFID Blockchain smart chip storing a wide array of data. 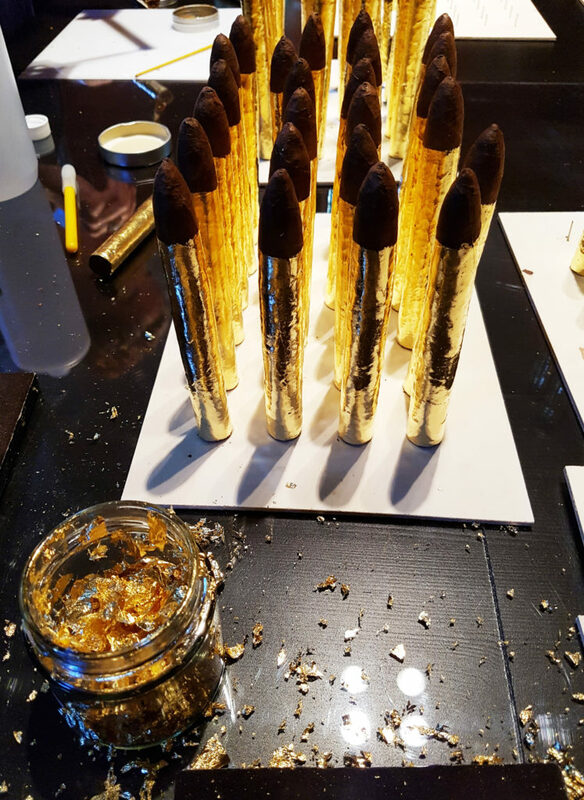 The hand-crafted 24 karat gold leaf premium cigar is packaged in a custom designed Viennese glass tube containing its own built-in humification control system. The new line is anticipated to commence marketing directly to private clients in early 2018. Design work on a downloadable SIG smartphone application was expected to be completed by March 2018 allowing owners of their luxury products to trade products via a blockchain secured app on their smartphones and other wireless devices, interacting with the blockchain technology contained in the smart chip of each SIGAR product. SIG 1 luxury products are made in a variety of sizes, blends and tastes to test the market reaction. The initial limited world premiere of the products will be available in Churchill, Torpedo and Toro sizes. The SIGAR team is also working on a number of other sizes, including a special gold leaf panatella designed for ladies and gentlemen. 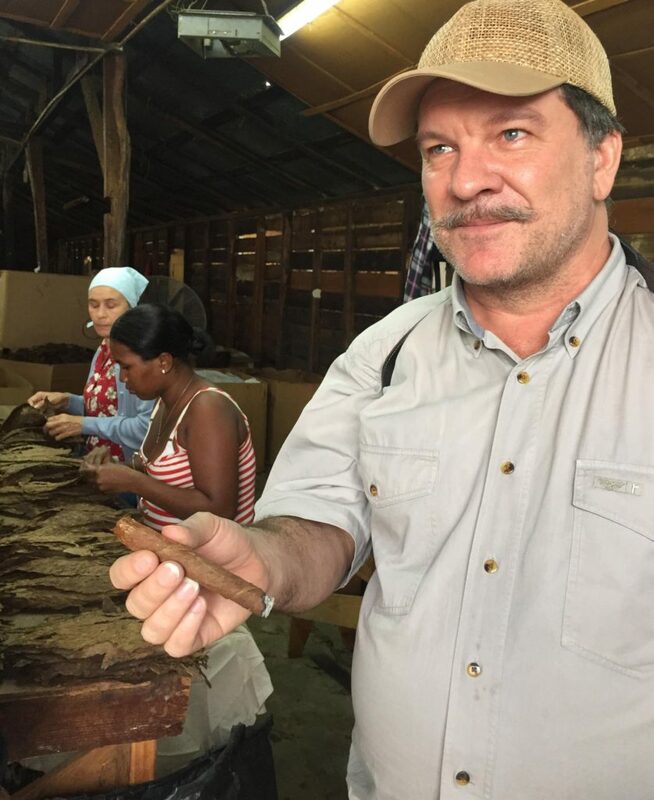 In 2018 the SIGAR team began testing and developing a range of new blends at production facilities in the Dominican Republic. The creative journey of SIGAR started in 2016 when James, a long time cigar aficionado, approached Peter Mai with the idea of a new cigar business. Earlier in 2011, Peter had walked off the street in Bangkok, right into a private Members Only cigar club in Thailand, where he met James, one of the founding lifetime members. As a Vienna based artist behind the idea and launch of the world’s first gold leaf cigar at the 2008 Millionaire Fair held in Munich, Germany, Peter encouraged James to dig deeper and explore the possibilities of synergies and possible collaboration. By late 2016, the two had decided to focus on creating an entirely new luxury brand and associated products, and thus was born the idea to produce a product far superior to anything done before. Vienna was chosen on the recommendation of Peter, hence the initial focus of SIGAR GmbH was on the design and packaging aspects of the luxury products range. As a long time resident of Thailand, James and his wife relocated to Austria to focus on building the new business. The premium hand-rolled cigars are produced in Latin America and the first RFID smart chips were produced in Thailand. During the first development meetings of 2017 James Wearing-Smith, CEO of SIGAR GmbH approached Jason Ho, founder and Chairman of D8: D8ii Limited with the blockchain security concept for the luxury cigar products. Over a series of meetings Jason took up the challenge of designing the custom modelled smart-chip that is used in the SIG 1. Another member of the SIGAR team is film producer and actor Cameron Pearson, who worked alongside James With and Sylvester Stallone as missionaries in RAMBO (2008). Cameron supported the idea from the start and relocated to Vienna from Los Angeles to become a more active participant of the SIGAR team. 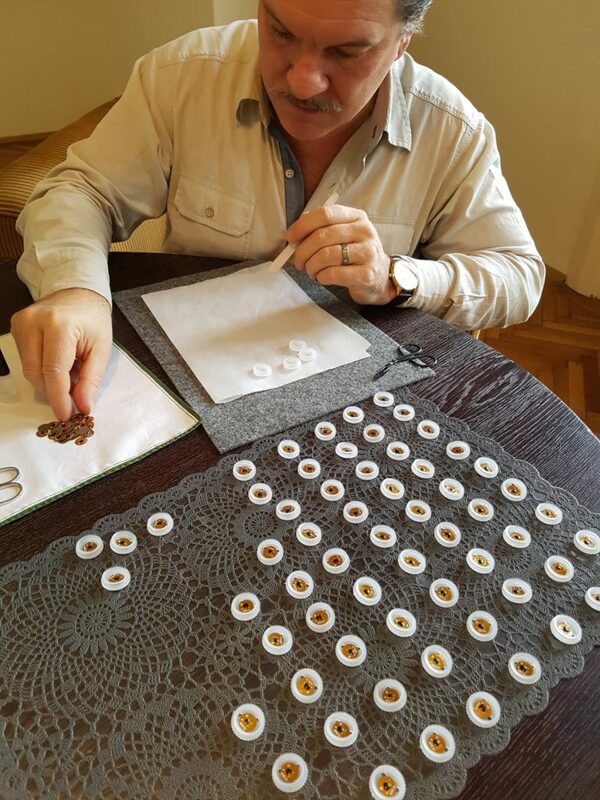 The SIGAR team believes the products will become special collectors items and could appreciate considerably in value over time if maintained correctly. Maintaining a SIG 1product is made all that easier with the help of the custom designed glass container and humidification system containing specially engineered crystals. The small crystal beads are designed to maintain a stable 70% RH level for a period of 5 years and is Food and Drug Administration (FDA) approved for direct and indirect contact and complies toward cGMP practices. When the glass container is opened the crystals can be easily replaced. The RFID blockchain security smart chip can maintain a precise data record of each SIG 1 product. Information can be stored in smart contracts to include manufacturing data, client to client transfer data, and global tracking data. With the recent frenzy over Bitcoin, the first decentralized digital currency it appeared that the development, implementation and timing of the SIG 1 had been coordinated perfectly. The world premiere release in 2018 was eagerly anticipated. Private clients will have the chance to experience their luxury products, and the idea is that they will be using either fiat currency or blockchain secured cryptocurrencies to make purchases in the future. The SIGAR team created the SIG 1 brand and it embodies the desire to fulfil a vision; one built on family values, knowledge, integrity, discreet diligence and the essence of a luxury lifestyle. “Silence is Golden” is the motto representing the SIG 1 brand. The creators of this product have spent considerable time during 2018 determining the growth and direction for the enterprise. 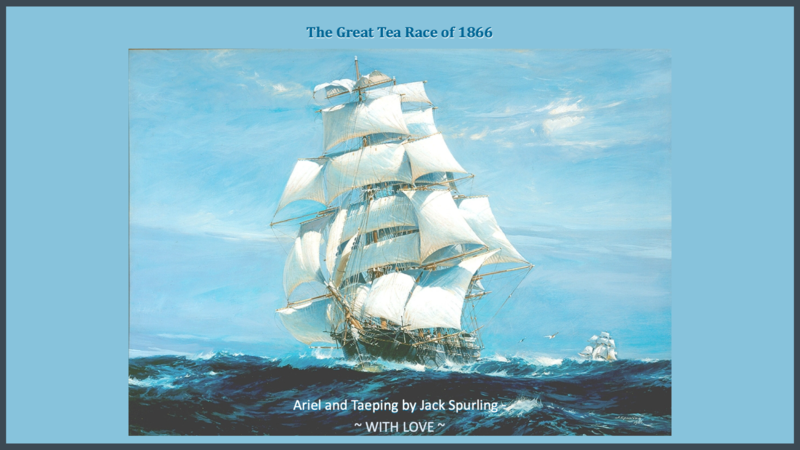 Just like the Great Tea Race of 1866, the winds and seas of change are utilised to navigate through the environment of economic change. It’s a bit like the great shipping stories in centuries past, and time and patience are virtues bestowed on men of the cloth, textiles, and commodities trading, including selecting the best premium materials from the tobacco industry. Tobaccos grown with love and caring attention to each and every plant, harvested and then stored carefully in warehouses, waiting for the right blend for each and every stick, and for those special clientele of luxury products. The journey of development and testing of products continues, and perfecting the products is of paramount importance to the creators.